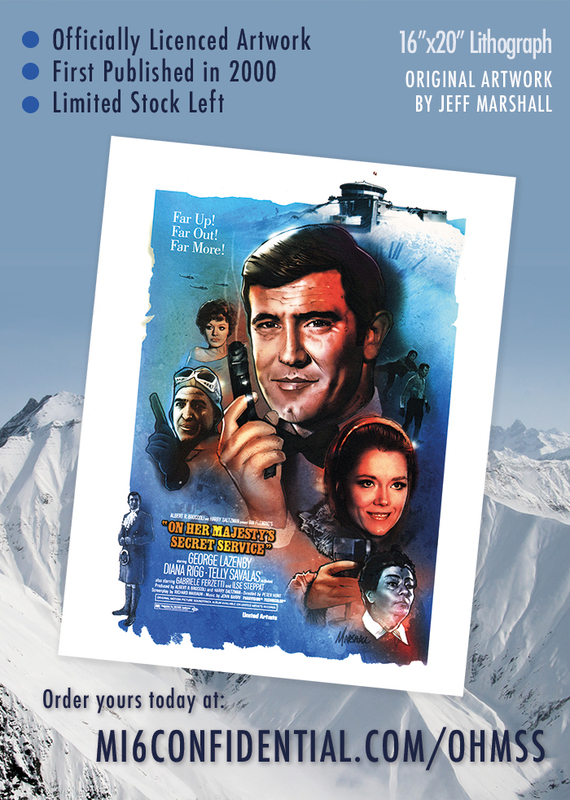 First published by Daleon Enterprises in the year 2000, these are officially licenced lithographs celebrating George Lazenby's one and only Bond adventure. Artist Jeff Marshall also created a number of other Bond prints for films such as The Living Daylights, Goldfinger and Thunderball. These posters measure 16"x20" and are from a limited print run of 1,500. Now available again after a number of years, grab your copy today for $39.95+p&p whilst stocks last.